The Ultimate Fan Experiences Drawing Starts Today! 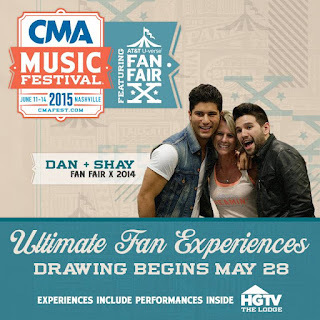 The Ultimate Fan Experiences drawing (formerly known as the autograph drawing) begins today, Thursday, May 28! Submit your “picks” for the artist or artists you want to see at Fan Fair X and The Lodge during the Festival. By entering the drawing, you’ll also be automatically entered to win autographed items, fast passes, seat upgrades and many other awesome prizes. Visit CMAfest.com today at 10:00 AM Central to begin making your picks!